West Valley City • Police release thousands of pages of documents, vow to probe any new leads. 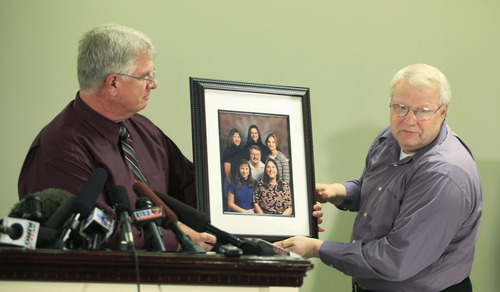 This image provided by Suzy Guzman shows Susan Powell, right, at a church function with her husband Josh Powell, left, Dec. 5, 2009 in West Valley City, Utah. Susan Powell, 28, was reported missing on Dec. 7, 2009. 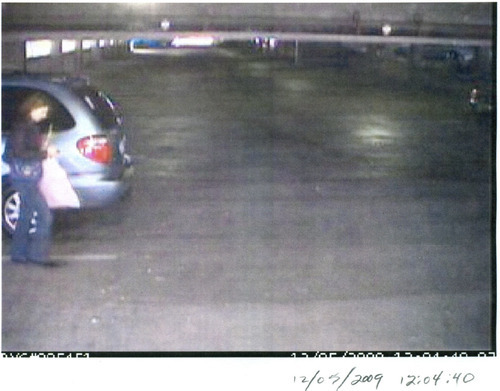 (AP Photo/Suzy Guzman) surveillance footage evidently shows Susan Powell arriving to and leaving from work at Wells Fargo in December 2009. These photos were among the tens of thousands of documents released May 20 by the West Valley City Police Department. . 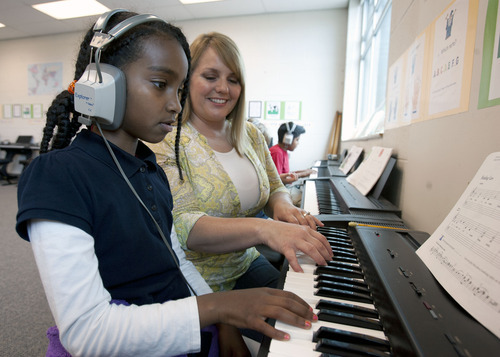 Courtesy: WVCPD Steve Griffin | The Salt Lake Tribune Whittier Elementary School third grader, Fikir Teklemedhin, plays the piano for her music teacher, Melanie Witbeck, during class at the Salt Lake City, Utah school Monday May 20, 2013. The school is losing its federal Title 1 funding next year, and the school-wide YEF music program will be impacted by the loss. The music program gives every Whittier student a chance to learn music, with an emphasis on the piano. The Associated Press This undated picture made available by Hardman Photography shows Susan Powell. The 28-year-old mother from the Salt Lake City area was reported missing on Monday, Dec. 7, 2009. Chuck Cox, right, the father of Susan Powell, who was reported missing Dec. 7, 2009, in Utah, is helped by family friend Michael Gifford, left, as he talks to reporters about a photo of his family, with Susan Cox shown at upper right, Thursday, Dec. 17, 2009, in Puyallup, Wash. Powell's family said Thursday they are saddened but not surprised that her husband Josh Powell has been named a person of interest in the investigation. 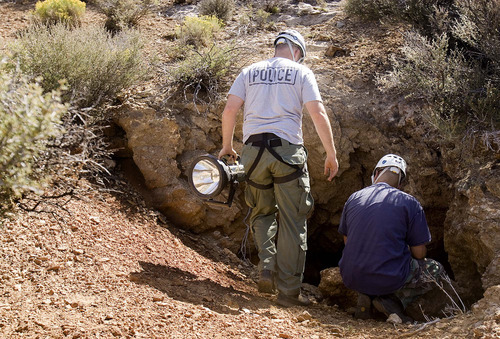 (AP Photo/Ted S. Warren) Trent Nelson | The Salt Lake Tribune Investigators from the West Valley City police department search abandoned mine shafts west Ely, Nevada, on Friday August 19, 2011 as part of the investigation into the 2009 disappearance of Susan Powell, Jim Urquhart | The Associated Press Investigators screen soil from a hole excavated by law enforcement where search dogs indicated the smell of human tissue decomposition near the base of Topaz Mountain as law enforcement looks for missing Utah mother Susan Powell, on Saturday, 50 miles northwest of Delta, Utah. 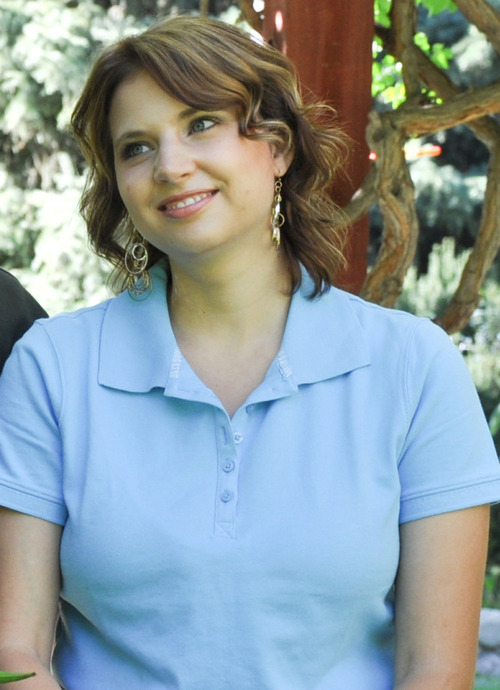 Powell disappeared from her West Valley City home in December 2009 and hasn't been seen since. 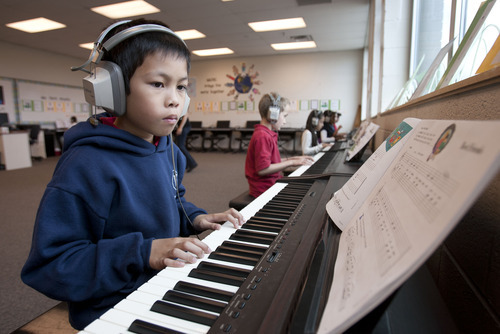 Steve Griffin | The Salt Lake Tribune Whittier Elementary School third grader, Aizhy Lumacad, plays the piano during class at the Salt Lake City, Utah school Monday May 20, 2013. The school is losing its federal Title 1 funding next year, and the school-wide YEF music program will be impacted by the loss. The music program gives every Whittier student a chance to learn music, with an emphasis on the piano. 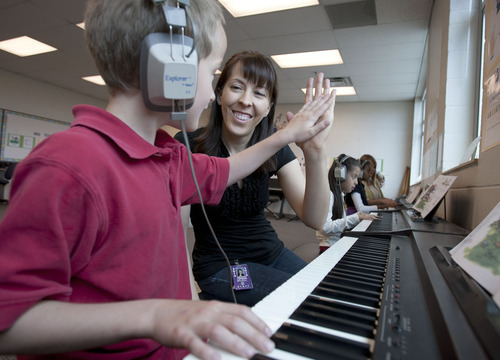 Steve Griffin | The Salt Lake Tribune Whittier Elementary School third grader, Zach Tragakis, high-fives his music teacher, Colette Lofgren, during piano class at the Salt Lake City, Utah school Monday May 20, 2013. The school is losing its federal Title 1 funding next year, and the school-wide YEF music program will be impacted by the loss. The music program gives every Whittier student a chance to learn music, with an emphasis on the piano. Rick Egan | The Lake Tribune Steve Powell, left, watches photos of young girls in his neighborhood, projected on a screen, along with defense attorney, Travis Currie, during his trial for voyeurism charges in the Pierce County Superior Court house, in Tacoma, Washington, Wednesday, May 9, 2012. 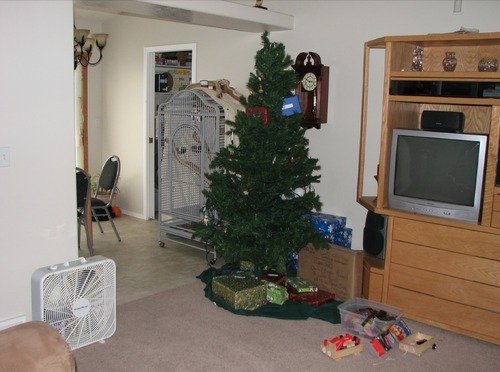 This is another photo West Valley City police snapped, presumably on Dec. 7, 2009, of the fan sitting in the living room of Susan and Josh Powell's home. Photo courtesy West Valley City police. 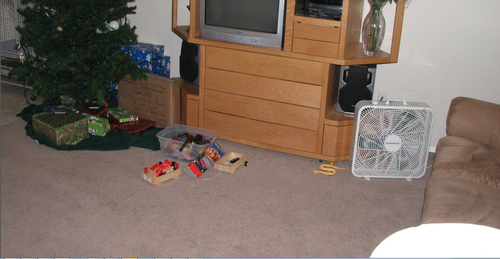 A photo taken by West Valley City, presumably on Dec. 7, 2009, police show a box fan sitting next to a couch. Early in the disappearance of Susan Powell, it was disclosed a fan was suspicously blowing on a wet carpet. Photo courtesy West Valley City police. 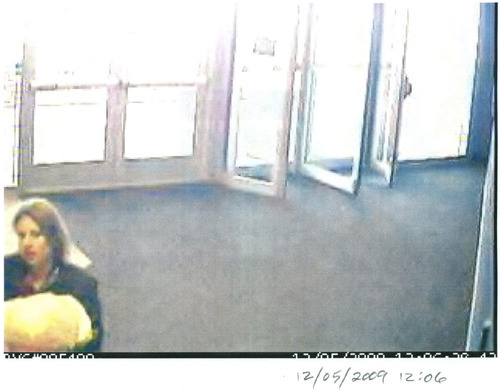 surveillance footage evidently shows Susan Powell arriving to and leaving from work at Wells Fargo in December 2009. These photos were among the tens of thousands of documents released May 20 by the West Valley City Police Department. . 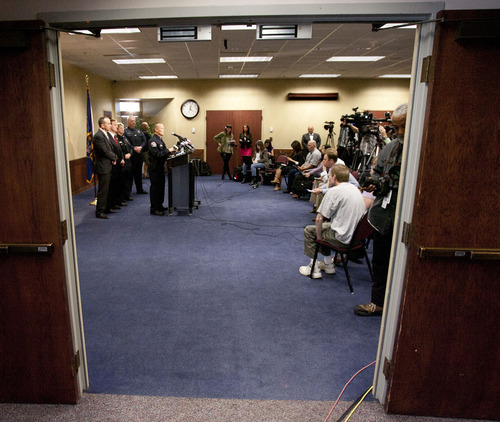 Courtesy: WVCPD Steve Griffin | The Salt Lake Tribune West Valley City officials announce the release of documents in the Susan Powell case from West Valley City Hall Monday May 20, 2013. West Valley City • It&apos;s pretty much over. And Susan Powell is still missing. West Valley City police closed the active investigation into Powell&apos;s disappearance on Monday, although police administrators and the city manager said detectives would investigate any new leads. The city then released thousands of pages of documents related to the case. Those documents expand on the 3½-year investigation into Susan&apos;s husband, Josh Powell, and his family, though they don&apos;t all point the finger at him. One police report, for example, says a pancake found by police did not have anything unusual in it. A lawyer for Susan Powell&apos;s family had theorized Josh Powell served his 28-year-old wife a poisoned or spiked pancake he made the afternoon she was last seen. 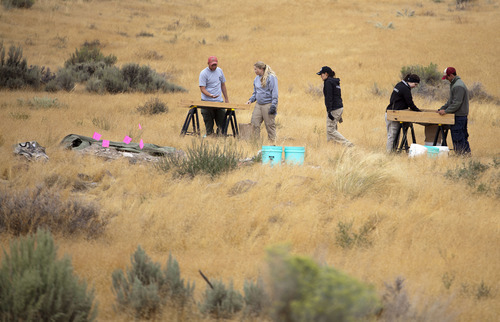 The documents reveal that testing of pieces of charred wood dug up during a September 2011 search in the desert near Topaz Mountain in Juab County had no traces of DNA on them. After cadaver dogs indicated the presence of human remains, police excavated the site but found only charred wood and incorrectly theorized it may have been used to incinerate human remains. West Valley City Deputy Police Chief Phillip Quinlan said at a news conference Monday that DNA markers found in the trunk of a car did not match Susan Powell. The Ford Taurus once belonged to her brother-in-law, Michael Powell, 30, who also was a subject of the investigation until his suicide in February in Minneapolis. Quinlan said detectives did not find a complete DNA sample on which to make a comparison to Susan Powell, but the trunk also did not show signs of having held a body. Among other things, investigators obtained a wiretap order, which they used to monitor communication between Josh and Michael. The wiretapping began in August 2011 and continued until October. But Michael and Josh used sophisticated computer encryption to communicate, according to Quinlan. Investigators have been unable to decipher much of that encrypted communication. Susan Powell was last seen on Dec. 6, 2009, at her West Valley City home, which she shared with her husband, the only person of interest ever named in the case. Josh Powell claimed he left his wife at home as he took his sons, Charlie and Braden, then ages 4 and 2, respectively, on a late-night winter camping trip in the West Desert of Utah. He denied having anything to do with his wife&apos;s disappearance. Josh Powell came under scrutiny early because he was the last one to see his wife alive and because he did not seem concerned about her disappearance. But police on Monday stopped short of saying Josh Powell killed his spouse. "What we are saying at this point was Josh Powell was involved in the disappearance of his wife," said West Valley assistant Police Chief Mike Powell, who is no relation to the Powells in question. If Josh Powell, Michael Powell or their father, Steve Powell, did have anything to do with Susan&apos;s disappearance, they remained disciplined. The documents show the lengths to which police went to entice them into incriminating themselves, even sending their sister and daughter, Jennifer Graves, into their Puyallup, Wash., home wearing a wire on Jan. 18, 2010. West Valley City police dubbed it "Operation Puyallup." It didn&apos;t work. Josh Powell refused to discuss his wife&apos;s disappearance with Graves, citing advice from his attorney. Graves and her father soon got into an argument and Steve Powell threw her and her husband, Kirk Graves, out of the house and told them they weren&apos;t welcome back. The documents include police reports  starting with when Susan Powell&apos;s mother-in-law, Terrica Powell, first reported her missing, and police arrived at Susan and Josh&apos;s home to find toys scattered about and loud music blaring from a stereo. There are also laboratory results, photographs, maps, wiretap records, witness statements, tips from people claiming to be psychic or possessing other special abilities, and other data from an investigation that spanned 11 states. Mike Powell on Monday said police searched for the missing mother on foot, horseback, all-terrain vehicle, in the air and on water, and inside mine shafts. "When traditional investigative techniques were not successful, we turned to non-traditional," Mike Powell said. None of it led to Susan Powell or to enough evidence to bring criminal charges. West Valley City Manager Wayne Pyle said Monday that police have run out of leads. "This comes after a long and arduous struggle," Pyle said of closing the case, "but it is time." Salt Lake County District Attorney Sim Gill said West Valley Police and prosecutors were working toward formally screening the case when Josh Powell, 36, killed himself and his two sons last year after setting fire to their rental home in Washington. 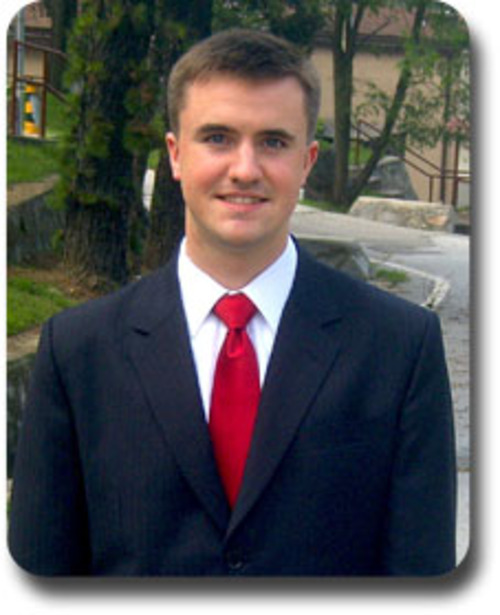 During the screening process, prosecutors look at all the evidence to determine what, if any, charges are appropriate. 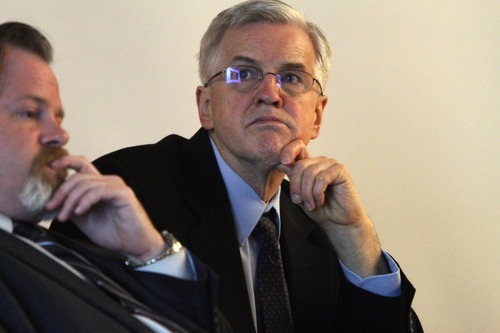 "We unfortunately never got to that," Gill said. He acknowledged there were "deficits in putting these cases together." There was no body, and if Susan was dead, how she died wasn&apos;t known. There was no indication of what Josh Powell&apos;s mental state might have been when Susan Powell vanished. "Even if we charge him, what do we charge him with?" Gill said. He also noted that much of the evidence was circumstantial. Investigators found droplets of Susan&apos;s blood in her home, for example, but the droplets were not necessarily suspicious, police said. "All of that was in play and was, at the same time, the strengths and weaknesses of the case," Gill said. Gill said West Valley City police worked diligently on the investigation from the start and spared no effort to find Susan. Pyle also complimented the efforts of the police department and said the ending "should not be a reflection" upon the department. The announcement comes at a trying time for West Valley City police. Two officers remain under investigation for fatally shooting 21-year-old Danielle Willard in November. And in the wake of the shooting, problems surfaced with the West Valley City Neighborhood Narcotics Unit, leading to the dismissal of 125 criminal cases and nine officers being placed on administrative leave. None of the detectives who have played a significant role in the Susan Powell case has been implicated in those issues. Susan Powell&apos;s parents, Chuck and Judy Cox, watched Monday&apos;s news conference online from their home in Puyallup, Wash. Afterward, Judy Cox emerged from the home and said the couple did not plan to make any immediate comment. Seattle attorney Anne Bremner, who represents the Coxes, plans to hold a press conference Tuesday morning to discuss the family&apos;s next steps. Bremner said Monday that West Valley City police came to Washington about 10 days ago to alert the Coxes about Monday&apos;s press briefing. She said they also reviewed the investigation with them. "We appreciate very much that they came to see us and are now forthcoming with the materials," said Bremner, who earlier tried unsuccessfully to force West Valley City to release the documents through a records request. At that time, the city maintained the investigation was ongoing and might be tainted if the documents were released. Reporters have made similar records requests. Bremner said she would pull an "all-nighter" to read through as much of the material as possible to see what, if any, new details they contain about what may have happened to Susan Cox Powell. "The family is looking for information and answers," Bremner said. She believes Michael Powell may have been an "after-the-fact" accomplice, helping his brother cover up whatever happened to his wife. Kiirsi Hellewell, a Susan Powell friend who has promoted her case on social media and organized vigils and other events, fought back tears as she spoke to reporters Monday in a West Valley City government meeting room. "It&apos;s just hard to hear from police that it&apos;s basically over," Hellewell said. She took some comfort in knowing police will investigate new tips. She expected Susan Powell&apos;s father, Chuck Cox, to lead additional searches. "Chuck, I believe, is going to put out a request for volunteers," she said. In one surprise during Monday&apos;s press conference, West Valley City Assistant Police Chief Mike Powell said Steve Powell "most likely" had no involvement in the disappearance of his daughter-in-law. Police investigated Steve Powell thoroughly and one search of his home yielded photos of neighbor girls in states of undress. Steve Powell is serving a prison term in Washington for crimes related to taking those photographs.